Hair loss has had a great impact. Started thinning 1st year of college and as years progressed it kept getting harder and harder for me to style my hair. After many comments, I came to the realization that I am balding and that I need to do something. 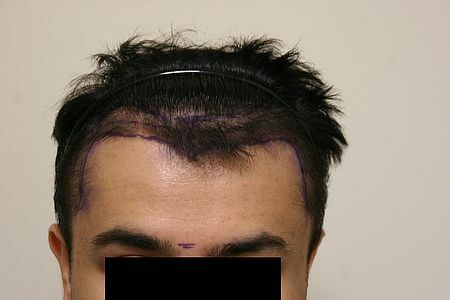 8 or so years later, I am now at the point that hair transplant would be the only route to take. 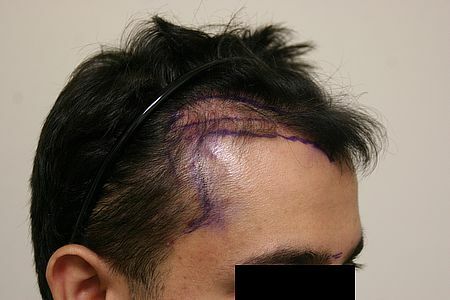 Researched on the hair loss forums night and day. 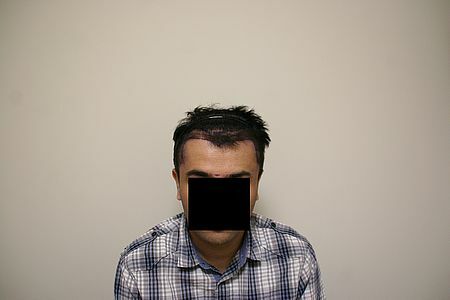 Debated between strip or fue. 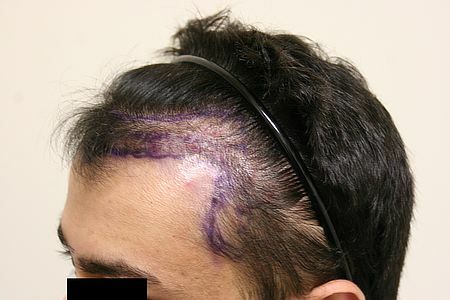 I keep my sides faded and short, so strip caused a great concern for me due to the scar. Consulted many doctors with different opinions and prices. 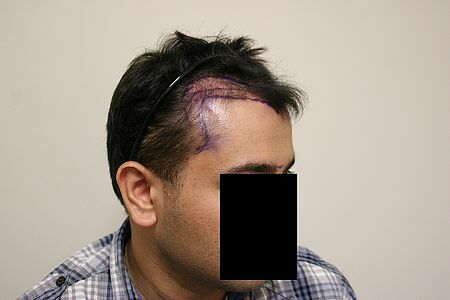 I then found out, Dr. Rahal does FUE, so I decided to book surgery with him. So, I am hoping my surgery in the future turns out great. 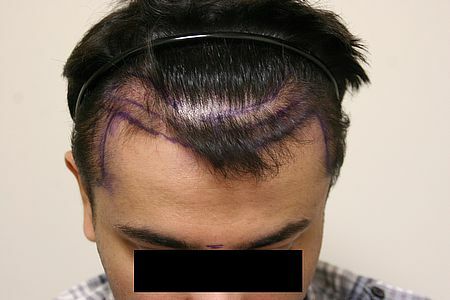 Here is my pre-op hairline design right before surgery.